Meet Kasie Bennett, who has been part of the Your Happy Nest team since we started in 2012! Kasie is so good at her job and we are very fortunate to have her. She puts so much attention and care into each family and nanny she works with! 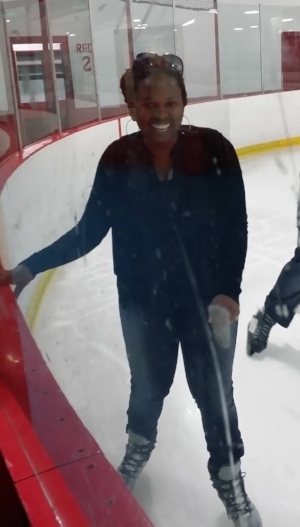 Your Happy Nanny Atlanta December--Latonia W.
Parents, meet Latonia! Latonia is a warm, professional woman with 20+ years of experience in her field. Her exceptional past experiences include working as a baby nurse, doula, nanny, and household manager. She has infant, twin, and triplet experience too! Don’t miss out on your opportunity to interview Latonia as she won’t be looking for a new family to work with very long! How long have you been a nanny? Over 20 years of nanny, baby nurse, and new mommy/baby doula experience. Do you have a favorite age and why? I can’t really say I have a favorite age, they are all fun in their individual way. I do like to begin with a family in the early baby stage and grow with them. There is something special about growing with and helping to rear from early childhood. Funniest nanny moment: Kids in general tickle me. Everyday is funny. They tend to say the darnedest things and it is mostly the unadulterated truth. Favorite thing about being a nanny: My favorite thing about being a nanny is the gift of having input into a young life, being able to teach some of the first subjects and do some of the first things children will experience in life. What is your strongest quality as a nanny? My strongest quality as a nanny would be my ability to nurture, relate, and identify with kids. Kids naturally cling to me. I think they feel my spirit, the love I have for them. I have always had a strong bond with every child I’ve had the pleasure of caring for. Favorite place to bring children on an outing in Atlanta: I love taking kids to the park, Aquarium, the Atlanta Zoo, The Children’s Museum, Music Class and Gymboree Play and Learn. Favorite activities to do with kids on a rainy day: Rainy day activities include, arts and crafts (sometimes catered to the season or holiday), building forts, imagination play, dance party, baking or cooking or playdates with friends. What is your educational background? I have a high school diploma, Patient Care Certification, and am currently working on my BS in Business. What do you like to do in your free time? I love hosting dinner parties with friends, game night, traveling, shopping, and I’m active in the children’s ministry at my church. What special skills do you bring to a family as their nanny? I have experience as a labor and delivery nurse, baby nurse, new mother/baby doula, nanny, house manager and assistant. All of these jobs give me the extra skills and ability to work with families no matter their needs. When are you available to start a new position? As soon as the right family is found. Your Happy Nanny Charleston August 2018- Elyse D.
Meet Elyse, our featured nanny for the month of August in Charleston! Your Happy Nanny Atlanta August -- Julia D.
Parents, meet Julia D., our Your Happy Nanny Atlanta for the month of August! Julia is a college graduate who has experience as an infant nanny, household manager/nanny for a school-aged child, and preschool teacher. She loves being active, practicing yoga, spending time outdoors, and exploring the city. Julia is seeking a wonderful family to create a lasting relationship with. We'd love to set up your interview with Julia right away! What part of Atlanta do you live in? I live in Smyrna near SunTrust Park. Where are you from originally? I am originally from Venice, FL which is about 20 minutes south of Siesta Key. What language(s) do you speak? I speak English. How long have you been a nanny? I have over seven years of experience in the childcare field which includes being a nanny, as well as working in a preschool. I have been a full-time nanny for the past two and a half years. Do you have a favorite age and why? I love working with children at every age, but I especially love watching newborns develop into toddlers. I think it’s amazing to witness all the milestones that happen during the first year of life. Favorite thing about being a nanny: My favorite thing about being a nanny is getting to form such a strong relationship with the children I watch and their families. I love helping them grow and supporting them during different stages of their lives. It’s truly amazing to be able to watch a young baby develop his/her own personality and become a talking and walking child. What is your strongest quality as a nanny? My strongest quality as a nanny would definitely be my creative and active personality. I’m always coming up with new crafts, games, and activities for children at any age. I love to keep a busy and engaging schedule throughout the day. I think that playing and keeping activities fun is the best way to help children learn new things! Favorite place to bring children on an outing in Atlanta: My favorite place to bring children on an outing in Atlanta would have to be the Georgia Aquarium. I love to see their faces while watching the sea lion, dolphin, and deep sea diver shows! It is such an enriching environment for children to interact with and learn about different animals and the ocean. Favorite activities to do with kids on a rainy day: Some of my favorite rainy day activities include arts and crafts, baking cupcakes, building sensory bags, playing hide and seek, or putting on a talent show. What is your educational background? I attended Venice High school where I was my class president. After high school, I obtained my Associates degree from State College of Florida. After getting my AA degree, I transferred to University of Central Florida in Orlando where I recently graduated with my BS degree in Communication Sciences and Disorders. Otherwise known as a “ComDis” degree, it is the undergraduate program for Speech and Language Pathology. My ComDis degree has taught me a tremendous amount on speech and language development in children and the importance of reading to them on a daily basis. What do you like to do in your free time? In my free time, I love working out, doing yoga, hiking, reading, creating new home projects, exploring the city, cooking healthy meals, and spending time outdoors. What special skills do you bring to a family as their nanny? I am a very proactive, creative. loving, patient, and responsible nanny. I have a strong work ethic and am always reliable for the families I work with. When are you available to start a new position? I’m available to start on August 22nd. Your Happy Nanny Atlanta July -- Johnae M.
Your Happy Nest is pleased to announce that our Your Happy Nanny for the month of July is Johnae M! Johnae has 8 years of experience working as a professional nanny and has worked with children from infancy to 11 years old. She loves creating interesting activities to help children grow and learn and is currently looking for a new family to work with long term in the Atlanta area. Contact us today to set up an interview with Johnae! What part of Atlanta do you live in? I currently live in Smyrna, GA.
Where are you from originally? I am originally from Chicago, IL. What language(s) do you speak? I speak English, with an interest in learning French. How long have you been a nanny? I have been a nanny for the past 8 years. Do you have a favorite age and why? My favorite age group to work with is Newborn to 5 years old. I like working with this age group because the children are still learning and soaking things up like sponges. So, their inquisitiveness helps mold their character and personality. Funniest nanny moment: While driving back from the zoo, we were detoured because of construction on the main road through a neighborhood that had what seemed like a lot of speed bumps. My nanny kid asked what the workers were doing, and I told him they were fixing the roads. We went down a block that had more than 2 speed bumps, and he said, "This street is still sick. They need to come fix its ouchies and give it lots of kisses and cuddles. Do you want to stop and help the street?" Favorite thing about being a nanny: My favorite thing about being a nanny, is everyday can be a new adventure for the nannies and the children. Every experience and memory the child has it what you make it. What is your strongest quality as a nanny? I feel my strongest quality as a nanny is that I am very nurturing. I like to be able to provide a safe and stable environment for my nanny kids so that their parents and family know they can entrust in me to be sensitive to their child’s needs and development. Favorite place to bring children on an outing in Atlanta: Piedmont Park, and The Georgia Aquarium is becoming a favorite fast. Favorite activities to do with kids on a rainy day: Building a fort, having an indoor picnic, and baking. What is your educational background? I have some college education, and I hold an Esthetics and Esthetics Teacher License. What do you like to do in your free time? In my free time, I like visiting art galleries and museums, visiting coffeeshops and brunch places around the city, cooking up new recipes, and spending time with my family and friends. What special skills do you bring to a family as their nanny? As a nanny I like to think outside of the box and be creative with my nanny kids. I am well rounded, motivated, organized, and someone who is a self-starter. I am able to help with potty training, sleep schedules, meal planning, cooking, and advocating with activities that helps the children achieve developmental milestones for their ages. When are you available to start a new position? Immediately! Your Happy Nanny Atlanta May--Tiffani B. 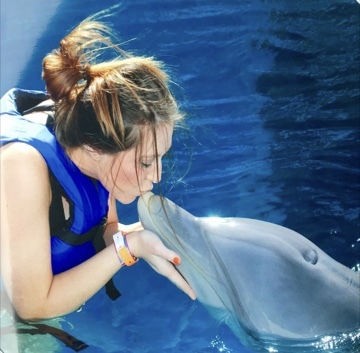 Say "hello" to our Your Happy Nanny Atlanta for the month of May, Tiffani B! She holds two Bachelors degrees and thrives on learning the latest and greatest techniques for raising happy, healthy children. Her Nanny Portfolio is filled with numerous certifications, engaging activities, and sweet memories from former families. You won't want to miss out on her positive energy and enthusiasm! Contact us today to schedule your interview with Tiffani. What part of Atlanta do you live in? I am moving to the Gwinnett County area in the next few weeks! Where are you from originally? I was born in Trinidad W.I., but I've been living in Boston, MA recently. What language(s) do you speak? I only speak English at this time. How long have you been a nanny? I have been a nanny and working with children for over 20 years. Do you have a favorite age and why? I don't have a favorite age. I've worked with children from birth to college. Every child brings you joy, when you love your job. What's your funniest nanny moment? I currently work for two amazing little girls Agatha and Veronica, We have tried to ease them into the transition of me leaving. One day I just started crying while we snuggled on the sofa. Agatha said, "Tiff, why are you crying like a baby?" I said, "Agatha I will miss you and your sister because I am leaving in a few weeks." Agatha said, "Well Tiff you don’t need to cry! We can FaceTime when you get sad." I started to cry/laugh! What's your favorite thing about being a nanny? I LOVE the one on one care with each family, the bond I have with each child, and learning different family dynamics. What is your strongest quality as a nanny? I am organized, caring, patient, loving, prompt, ambitious, self sufficient, and able to work with minimal direction. What is your favorite place to bring children on an outing in Atlanta? I looked up several fun places. I'm excited to visit the Children’s Museum, Georgia Aquarium, local parks, trampoline parks, and indoor amusement activities. What are your favorite activities to do with kids on a rainy day? Arts and crafts, dress up, baking, making ice pops, play dates, and anything safe indoors. What is your educational background? I have a degree in Psychology and a degree in Early Education. I have many child care as well as nanny certifications. I have my Family Child Care License in the state of Georgia, and I am apart of Matahari, a National Nanny Organization for Domestic Workers. What do you like to do in your free time? Create and build on my child care learning academy. What special skills do you bring to a family as their nanny? I am self directed, pride myself on cleanliness, and am always very safety conscious. When are you available to start a new position? ASAP! I arrive in June! Your Happy Nanny Cincinnati April--Kelly M.
Meet Kelly M., our Your Happy Nanny for the month of April! Kelly is seeking a full time nanny position for this summer! She is available to start on May 28th and commit until August 3rd. Kelly has her bachelor’s in Early Childhood Education with a 4th/5th grade reading endorsement and is a first grade teacher. Your Happy Nest has worked with Kelly in the past and has a full background report on file. Kelly is CPR and First Aid certified and available to interview immediately! What part of Cincinnati do you live in? I currently live in Mount Lookout, but I am moving to West Chester in the beginning of May. Where are you from originally? I am originally from Minster, Ohio which is a really small town about 2 hours north of Cincinnati. How long have you been a nanny? I have over nine years of experience in childcare including being a nanny and working in various school settings as well. I was a nanny throughout high school and college and I now nanny during the summers. Do you have a favorite age and why? I have experience working with children from newborns to teenagers, so it is difficult for me to have a favorite age! I would say I have a favorite age range from 2-3 years old. Children at this age start to show their personality and are exploring, becoming more independent, and being social and curious. I love to introduce children of all ages to new challenges and watch them grow! Funniest nanny moment: I like to ask kids I nanny for how old they think I am. Most of the time the kids are way off and I get some pretty funny guesses! I was nannying for a family with two kids and one of them guessed that I was 7 years old and the other one guessed 75 years old. I am 24 years old, so they were a little off! Favorite thing about being a nanny: My favorite thing about being a nanny is being part of a child’s development. It is very rewarding watching a child face challenges and be successful. I love to watch children grow and know that I can be a positive impact in their life! What is your strongest quality as a nanny? My strongest quality as a nanny is my experience in early childhood education. I know about the different stages of childhood development as far as where kids should be at and how I can help them explore their curiosities. I have a passion for bringing creativity to kids and helping them learn! Favorite place to bring children on an outing in Cincinnati: I love to taking children of all ages to the various beautiful parks in Cincinnati. I also love to take kids to the pool, zoo, and aquarium. Favorite activities to do with kids on a rainy day: On a rainy day, I love to do arts and crafts and play board games! What is your educational background? I graduated from the Ohio State University with a bachelor’s in Early Childhood Education with a 4th/5th grade and reading endorsement. I am currently a first grade teacher at Monroe Primary School. I have experience student teaching in a daycare, preschool, 1st grade, and 2nd grade classroom. What do you like to do in your free time? I love to cook, paint, listen to music, and explore the city of Cincinnati! I love to be outdoors when the weather is nice, and I also love to stay in on a rainy day to read books and watch movies. When are you available to start a new position? I am available to start on May 28th! Your Happy Nanny Atlanta March -- Cassidy S.
Meet Cassidy S., our Your Happy Nanny for the month of March! 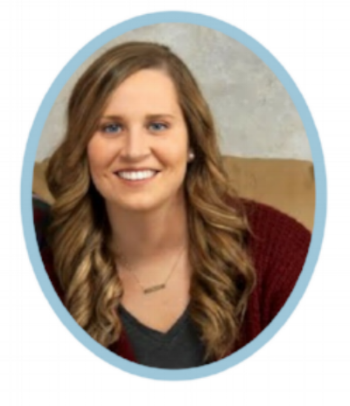 Cassidy is a friendly, engaging nanny who recently obtained her Bachelors degree in Early Childhood Education. She has experience both inside the classroom and as a nanny, primarily working with infants, young toddlers, and preschoolers. Cassidy is excited to find a fantastic family to work with for years to come! Contact us today to schedule your interview with her. What part of Atlanta do you live in? I am not currently living in Atlanta, but as soon as I find the perfect family I am ready to move! How long have you been a nanny? I have over six years of experience in the childcare field which includes being a nanny, as well as working in a preschool. Do you have a favorite age and why? I love all ages, but I would have to pick 3-year-olds. They are so curious and are becoming independent! I love to watch and help them do tasks and see how happy they are when they successfully complete one. Funniest nanny moment: Wow, I had an allergic reaction to a make your own gingerbread house kit! My lips swelled up and turned bright red. The child I was watching still talks about how funny my face looked to this day! Favorite thing about being a nanny: I love that I can teach young minds in a setting where they are comfortable, and I can provide more one on one attention. What is your strongest quality as a nanny? I think my strongest quality is my background in a preschool. I know how to bring the creative curriculum that we taught there to a home! Favorite place to bring children on an outing in Atlanta: I am excited to be able to explore my new city with the children I will be looking after. I like to be on the go, so I am ready to see everything Atlanta has to offer. Favorite activities to do with kids on a rainy day: Art projects, I love to see what they create! What is your educational background? I graduated in December from The University of Alabama with a Bachelors Degree in Human Environmental Science. My major was Early Childhood Education with a concentration in Early Child Development. What do you like to do in your free time? I love to go to concerts! What special skills do you bring to a family as their nanny? As a nanny I am motivated, creative, and able to bring learning experiences in to every aspect of the day. I love to help children reach the milestones of their lives. I can help with schedules, potty training, nutrition, and learning. I can run errands if needed for the family as well (I love the grocery store)! I am ready to start my career and find a long term position I can grow in. Your Happy Nanny Atlanta February -- Jessica M.
We are proud to introduce Jessica M. as our Your Happy Nanny for the month of February! Jessica is an absolute delight to be around! She holds her Bachelors Degree in Psychology, and has obtained her Newborn Care Specialist certificate. She has experience working with newborns to school-age children, enjoys cooking, loves animals, and is an excellent swimmer. All of Jessica's references agree that her next family will be so lucky to work with her! Don't miss your chance interview Jessica, contact YHN today! What part of Atlanta do you live in? My husband and I bought a house in Dunwoody and have been there for a little over a year and half. We love it! Where are you from originally? I am the oldest out of four children, was born in Columbia, South Carolina, and have lived in several different states growing up before my family moved to Georgia. I have lived in Georgia now for 19 years. What language(s) do you speak? English and elementary Spanish. How long have you been a nanny? I have been a professional nanny for seven years, during that time I was promoted to household manager/lead nanny. I have worked with children since I was a teenager, which encouraged my love for taking care of children. During my teen years I enjoyed babysitting and volunteering in the church infant/toddler nursery, and then in college I volunteered at a non-profit organization called Awana where I worked with the toddler group. My internship was with Power House for Kids, which is a child advocacy center that helped children who had been abused. This further opened my eyes to how important it is for all children to be raised where they are loved, where they laugh, and where they play in a healthy structured environment. process and encouraging them. I know this time in their life is extremely important and they can be influenced greatly, so I love to see that their needs are met physically, psychologically, and emotionally, which helps set them up for success. Favorite thing about being a nanny: I love being a nanny not only because I get to love and look after children, but I also invest in the entire family and ensure a happy household; so that the parents are able to have more time to spend with each other and their children. This is why I decided to pursue being a professional nanny. What is your strongest quality as a nanny? It’s that I genuinely love the children I take care of, which gives me patience for them, joy to be in their company, and the ability to get on the child’s level and take in what they are communicating in order to help them express themselves and work through their feelings. Through all this, I respect the parents’ wishes for their children. I value open and honest communication with the parents and can be counted on to be reliable, trustworthy, and loving towards the family. Favorite place to bring children on an outing in Atlanta: One of my favorite playgrounds/parks to take children is Mason Mill. It has two play areas (one for younger children and one for older children), it has a wide open area to run around, and it has walking paths leading to a river and a bridge to see trains. I also enjoy taking children to the Children’s Museum of Atlanta because it is great for a wide range of ages and is a place where they can learn in a fun and stimulating way. Favorite activities to do with kids on a rainy day: I love rainy days because it gives the children and me a chance to be creative and come up with fun and new activities to do indoors. I like to incorporate fun and silly games into natural learning. Some examples are: Finding a new craft to make or painting. Playing with rainbow rice and using bowls, cups, and spoons to mix, measure, and pour. Exploring imaginative play through building tents or grocery store play. Making exciting science experiments involving colors, bubbles, and fizzy magic. What is your educational background? I graduated from Toccoa Falls College with my B. A. in Psychology and then recently I furthered my knowledge in childcare by becoming certified with the International Nanny Association and completed the training for newborn care specialist. What special skills do you bring to a family as their nanny? I have extensive experience in caring for newborns and toddlers and have successfully taught: baby sign language, elementary Spanish to toddlers (examples: colors, numbers, animals), ABCs, mathematical concepts, spelling, shapes, sounds, colors, weather, and encouraged cooking and baking skills by helping to mix and measure. Examples: making up songs, playing matching games to learn ABCs, and using art to learn colors. I am also knowledgeable in sleep training, potty training, I am able to be firm and I effectively use positive reinforcement to encourage the desired behaviors. I am organized and a self-starter. I plan well so I am able to plan weekly meal calendars and I take the initiative to help out the entire family. When are you available to start a new position? I would love to be able to find something starting mid-March. What part of Cincinnati do you live in? I actually am located in Florence, KY, which is right across the bridge. Only 20 minutes away from downtown, Cincinnati! Where are you from originally? I was born and raised in Florence, Kentucky! How long have you been a nanny? I have been in childcare for 5+ years, and I have been a full time nanny for one summer. However, I am currently seeking my first full time long term nanny position! Do you have a favorite age and why? I love all ages of children, but if I had to choose an age group it would be 1 year olds, because I just think they have the funniest personalities and I love their curiosity about the world. Funniest nanny moment: My funniest childcare moment would be when I was watching 2 boys, and the oldest accidentally spilled his drink, and as I was trying to catch the cup before it actually spilled, I ended up knocking over my cup, and his brother’s cup! Drinks went everywhere! The boys thought it was funny, it was quite the mess but I couldn’t help but laugh at the end of the day! Favorite thing about being a nanny: My favorite thing about being a childcare provider is that I have the privilege to be a positive role model for others, and teach young minds about the world! What is your strongest quality as a nanny? My strongest quality would be my ability to extreme multitask. In addition to childcare, I have been a server for the past 4 years, so I am able to do a lot of different things at one time, without becoming stressed out. I find this helpful with childcare because I can be doing things with the kids, and also make sure things are taken care of around the house. Favorite place to bring children on an outing in Cincinnati: Although I haven’t taken children for outings yet in my nannying history, if I were to take them somewhere it would definitely be Totter's Otterville or the Museum Center, because it allows children to use their imagination while also learning! Favorite activities to do with kids on a rainy day: I love having an arts and crafts “party” on a rainy day, making a bunch of things for their parents when they come home. What is your educational background? I attended Thomas More College for roughly 3 years, I took some time off, but I am returning to college in the fall to finish my degree in Entrepreneurship with online and evening classes. What do you like to do in your free time? In my free time I love to go to the movie theatre and watch any new movie that is out! When are you available to start a new position? I am available to start as soon as possible! The holidays are a busy and exciting time for families full of the magic of Santa, festivities, parties, and of course lots to get done! We are here to help. Your Happy Nest has nannies on hand that can help out with more than just childcare. They can run errands, wrap gifts, help with party decorations or even come to your party and help with childcare or serving food and drinks. We would love to help take some of the stress of the holidays off of your back so you can enjoy more time with your little ones making memories! Parents, are you wondering what is a typical holiday bonus for your nanny? The holidays are a great way to show your nanny some appreciation for a job well done this year. We always tell families that when nannies feel appreciated, they are more willing to go the extra mile and also stay with your family long term! It is also nice to do something a little more personal for your nanny at the holidays along with her bonus such as have your child(ren) make her a holiday ornament or card, or get her a small more personal gift to go along with her bonus. 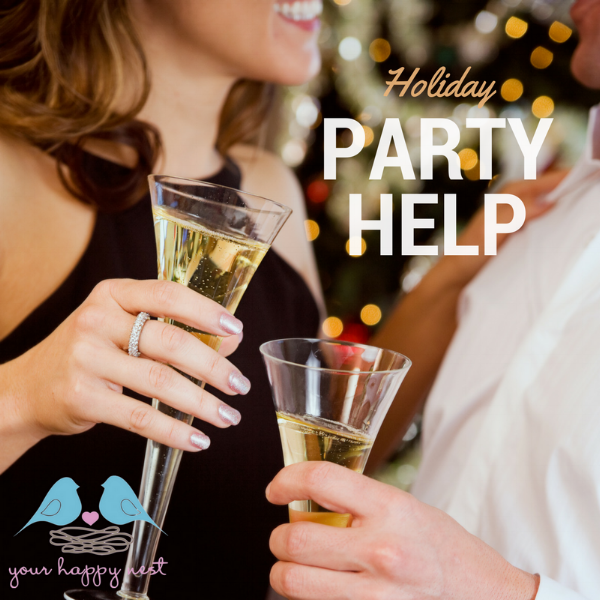 Whatever you end up doing, your nanny will be happy you thought of them during the hustle and bustle of the holidays! Happy holidays to all of our clients and nannies! Your Happy Nest Atlanta is happy to introduce Faith Mbisa as our Your Happy Nanny for the month of October. Faith has previously been placed into two longterm positions through Your Happy Nest and has also done extensive fill-in nanny and babysitting work through the agency. She has excellent experience as a nanny to infants and also has worked as a household manager. She is calm, organized, and an excellent communicator! Contact Your Happy Nest today to schedule an interview with Faith! Do you have a favorite age and why? Don’t have a preference, each age is intriguing. I believe each age group is great and has their own little benefits. Newborns are gorgeous for cuddling and gazing at. Toddlers are amazing to watch as they discover the wide world around them and ALL their new skills. Preschoolers are still learning so much about the world around them, it's just so amazing to watch and be a part of this. School-aged children are awesome to work with because they have so much knowledge and you can share so much with them. Funniest nanny moment: The kids I was taking care of a few years ago decided to play a prank on me. They locked me outside the house while plying hide & go seek. Unbeknownst to them, I always have a key on me in case something like this ever happened. I played along like I didn’t have a key. I even pretended to cry, then the boys felt sorry for me and opened the door. Favorite thing about being a nanny: As a nanny you become someone else: an adventurer, an explorer, a comedian, or even a play toy. Whether it's dressing up as a princess or pretending to be a monster, you always know how to make your little person laugh and giggle with delight. Being a nanny also gives you valuable experience for the day you yourself become a mom. You will always remember the bedtime rituals, favorite foods, and continually replayed cartoons when you have a little one of your own. What is your strongest quality as a nanny? I make a commitment to making a positive difference in the lives of the children in my care. I am proactive, creative, enthusiastic, reliable & responsible. What do you like to do in your free time? I love soccer or anything sports related. I enjoy volunteering and giving back to the community, also traveling and exploring the world. What special skills do you bring to a family as their nanny? I am CPR & First Aid Certified. I have a basic understanding of child development and a reserve of patience. I am safety conscious, a great communicator, flexible & have a nurturing spirit. but don't worry! We are here to help! At Your Happy Nest we meet with hundreds of nannies each year and help them find great jobs. what an awesome nanny resume and portfolio look like. Step 1: Keep your resume on one page, if possible. Easy, neat and clean. Step 2: Your mission statement should come next. This statement should be 1 to 3 sentences and state who you are and what you are looking for. Example: "Professional nanny with 6 years of experience in search of a full-time nanny position. Available to start August 2017. Willing to relocate." 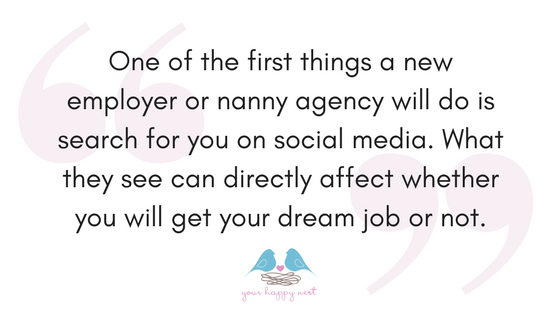 Step 3: List your nanny positions in chronological order. Starting with your most recent position, list several of your nanny or babysitting positions. Use the same format for listing each position. Include the family's last name, dates worked for the family, ages of the children when you started with the family, if any new children were born while you were with the family, household responsibilities, activities you did with children and any other relevant information such as overnight care, travel, and if you transported children in your own vehicle. If you don't have a lot of nanny experience, you can also list other childcare related positions such as families you have babysat for long term, volunteer work you have done with children, working in church nursery programs, etc. Step 4: List education, degrees, and certifications. Use this section of your resume to show all of your certifications (CPR, First Aid, National Nanny Training Day attendee, INA credentials, etc.) If you would like more information on how to obtain certifications that will look great on your resume, contact your YHN placement provider. Step 5: "References available upon request." This is the sentence you want to place at the bottom of your resume. Your references could get tired of being called too often, so only give out their information to families or agencies you are actively interested in and interviewing with. Step 6: Proofread, proofread, proofread. Make sure your final resume draft does not have any typos or grammatical errors, then have one or two friends or a nanny agency look over it to catch any mistakes you may have missed. And always, ALWAYS use spell check! Your Happy Nest Atlanta is so happy to introduce Jeanette Luna as our Your Happy Nanny for the month of August. The Columbus State University graduate has 3 years of professional nanny experience under her belt working with infants and toddlers. She loves incorporating her creativity and musical talent into her daily plans with her nanny kids. If you are looking for loving, laid back, and professional full-time nanny, than look no further than Jeanette! She is ready to begin her next longterm position at the end of the month! Contact us today if you'd like to schedule an interview! What part of Atlanta do you live in? I live in Sandy Springs. Where are you from originally? I was born in California, but raised in and around Atlanta. What language(s) do you speak? I speak English, Spanish and a little Italian. How long have you been a nanny? I’ve been a nanny for three years. Do you have a favorite age and why? This is a tough question, but I think infants to early toddlerhood are my favorite age. There’s something about the wonder in their eyes that just melts my heart. Funniest nanny moment: One moment I can think of was when a little girl, maybe about 22months, discovered different voices. We’d play with her babies and she’d suddenly make her baby have a “deep voice.” Cracked me up! Favorite thing about being a nanny: My favorite thing about being a nanny is the relationship I create with children and their families. I am honored to be a part of the children’s lives and their upbringing. What is your strongest quality as a nanny? I think my strongest quality is creativity. I like planning outings that involve something fun and educational, whether it’s going to the library, storytime, a music class, or just going to the park! On a rainy day, I love improvising on the spot and coming up with fun arts and crafts to keep busy and have something special to show mommy and daddy when they come home. Favorite place to bring children on an outing in Atlanta: My favorite place has been Piedmont Park, especially if we have access to the Botanical Gardens. There are playgrounds, large grassy areas to have picnics, and being surrounded by trees and flowers is so calming to everyone. There’s so much to see, experience and appreciate. Favorite activities to do with kids on a rainy day: I like painting, coloring, turning up the music and being totally silly, playing with instruments or creating our own out of plastic containers and rice. What is your educational background? I have a bachelor's degree in Music Performance from Columbus State University and did some graduate coursework at UNCG before completely pursuing nannying. What do you like to do in your free time? I like keeping busy. I’m no pro, but I love painting with acrylics. Lately, I’ve been teaching myself to crochet and play the ukulele. I also have a big interest in permaculture and self-sustainable gardening, because, well, save the world! I love being outdoors and taking hikes on the many trails in and around Atlanta. What special skills do you bring to a family as their nanny? I bring care and compassion, an understanding of the importance of early childhood education, a knack for finding fun things to do, and reliability. When are you available to start a new position? I am available beginning August 23rd. Andrea resides in Augusta, and is actively seeking a full time position with a great family. What part of Augusta do you live in? Richmond County, close to Doctor's Hospital. Where are you from originally? I am a hometown girl, Augusta, Ga! Tell us about your childcare experience. I have 20 yrs. experience as a Preschool Teacher. I have also worked in a daycare setting, and nannied for a great family for over two years. Do you have a favorite age to work with, and why? I love all ages, but I enjoy the 6 to 9 month olds the best. They are just forming their personalities, and are learning many new things. I love their expressions at this age. Favorite thing about being a nanny: I love the one-on -one attention that I can give each child., and I love the bond that can be formed with the entire family. What is your strongest quality as a nanny? My experience as a preschool teacher allows me to teach your child as I love and nurture them in a home setting. Favorite places to take children on an outing in Augusta: I enjoy several of the playgrounds around town, and also the Columbia County Library. Favorite activities to do with kids on a rainy day: Arts and Crafts are my specialty. What is your educational background? I received my high school diploma. I married and had three children of my own. I graduated from the CDA program, and am first Aid and CPR certified. What do you like to do in your free time? I enjoy spending time with my children, doing arts and crafts and decorating. What special skills do you bring to a family as their nanny? I bring my many years of experience in childcare and teaching. I am a loving and nurturing person who enjoys getting on the floor and playing, reading, and making your child feel safe, secure, and loved. July is here and gone already! I'm sure all of you parents have been seeing notebooks, backpacks, and school buses in your dreams at night. That also means it is time to start thinking about what you're going to do for childcare at the end of the school day and how you're going to get dinner on the table each night! Well look no further than this month's Your Happy Nanny, Tawniah Beard! Tawniah is a Georgia Licensed Educator who started her childcare journey with Teach for America. She has worked with children from 3 to 18 years of age. The UGA graduate has taught an array of subjects such as AP Human Geography, English Language & Grammar Skills, Elementary Reading, Writing, Science and Mathematics. Tawniah loves to take learning outside of the classroom and explore Atlanta's many attractions and museums. She absolutely loves grocery shopping and cooking, and would be happy to help a family in the kitchen! Parents, look no further for your Nanny/Household Manager! Get to know Tawniah better in our interview below, and contact Your Happy Nest Atlanta to schedule an interview with Tawniah right away! How long have you been a nanny? I have 4 years of experience as a certified educator. Do you have a favorite age and why? My favorite age is 4 yrs old. I love the inquisitive mind and spirit of children that are this age. Favorite thing about being a nanny: I love the personal connections that I make with the children and families. I enjoy sharing my gifts with others and being apart of a loving unit. What is your strongest quality as a nanny? My background in education, learning does not have to stop once the children are home from school. Favorite activities to do with kids on a rainy day: Cooking /baking lessons! I truly love creating meals! What is your educational background? I have my Bachelors degree in Women and Gender Studies from the University of Georgia. Go Dawgs!!! What do you like to do in your free time? I enjoy museums, festivals, reading, playing with my dogs, and cooking for my friends and loved ones. What special skills do you bring to a family as their nanny? I believe that my educational background is an asset, and I have a strong compassion for the youth. I truly enjoy cooking, and I find grocery shopping therapeutic, so I would not have any issue completing that task for my new family.